Dharmesh is the President and CTO at Advaiya Solutions. Dharmesh has 20+ years of experience in various technology platforms, solution design, and project implementations. 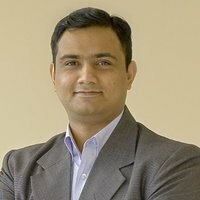 At the current role, Dharmesh enjoys analyzing the direction of technology platforms and aligning Advaiya’s initiatives to the state-of-the-art in technology and business. He focuses on developing the vision and architecture for solutions on improving enterprise productivity and consumer experiences. Dharmesh has been assisting a lot of technology companies and start-ups in multiple capacities – technology guidance, operations, and marketing. He has been instrumental in adopting and leveraging learnings from larger technology companies such as Microsoft and Google. Is Artificial Intelligence Real or Is It Fake News?